What is customer experience in layman’s terms? I believe that business leaders should treat customer experience is an imperative. Yet, there are still some parts of the business world where “customer experience” is a new word. With that said, I jumped on a chat with Kerry Bodine, co-author of Outside-In. A new book about why organizations should focus on customer experience, and how. One of the challenges in understand what customer experience means, is understanding that there is a HUGE difference between customer service and customer experience. Most think that customer service is customer experience. The bottom line for me is: customers will reward you for providing a memorable and unique customer experience. That is why I begin every conversation with one simple question: Do you want to be remembered? Here is a short summary of the #outsidein twitter chat with @kerrybodine of Forrester. Why is customer experience important to businesses? Is there a difference between customer experience and customer service? How do you make companies understand that difference between customer service and customer experience? How do you explain customer experience to businesses who’ve never thought about it? 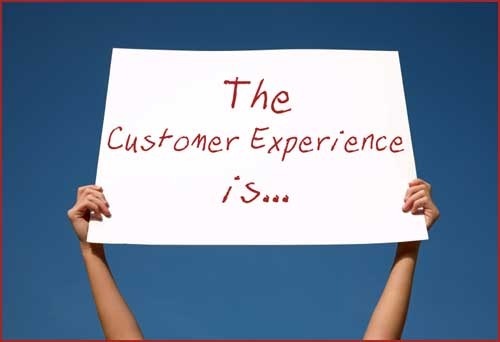 Tell us about a company that’s really benefiting from their customer experience efforts? What are the things that most companies do wrong when ti comes to customer experience? How do you sell customer experience within the organization? Are the 6 disciplines of customer experience equally important? What’s one thing companies can do right now to improve their customer experience efforts? What are the key takeaways from your book that you’d like readers to embrace? Tagged customer experience, customer service, Forrester Research, Kerry Bodine.